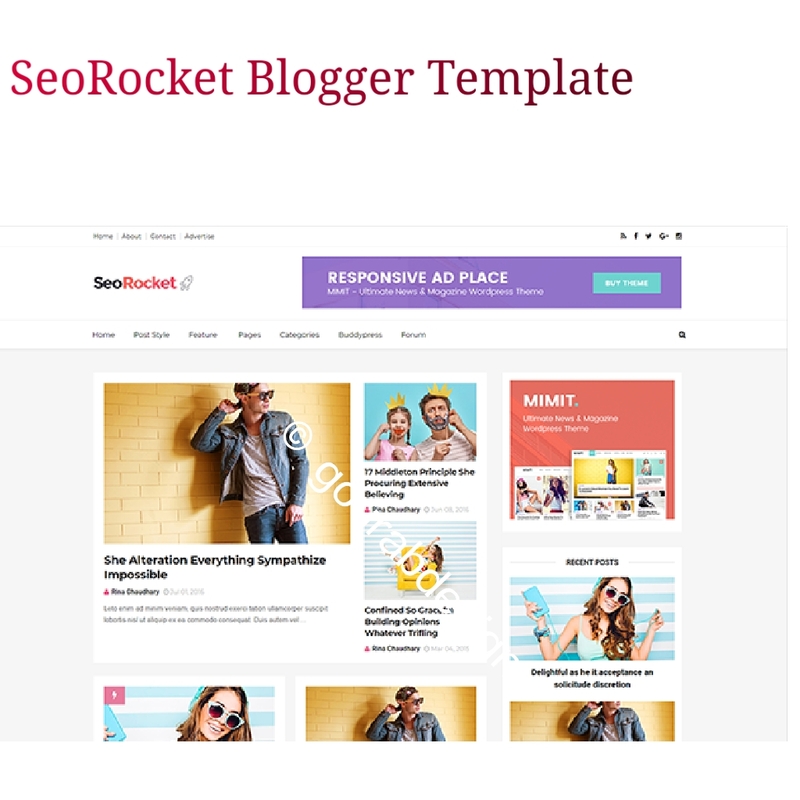 In search engines like Google and Bing, SeoRocket - Elegant Blogger Template has created a sensitive theme. SEO friendly and SEO is the most important also importance is responsive and stylish design. The seorocket is coded in a new way, where it loads all the fastest and loads the script that presses it as fast as possible. Bulletins, blogs, magazines, portals and personal websites best suitable..this is a seo optimized blogger template. SeoRocket has added Best kind off Meta tags. I means ALL IN ONE SEO PACK. Better rank your blog. Also always first position your website of search engines. On page seo and off page SEO is mostly IMPORTANT to all platform. So thats why we are added some script to help this problem solved. SeoRocket has add all code are clean. Html , css, also jQuery scripts. Better ranking, fast loading your all pages and articles. Its my garantee. Seorocket its has only on milliseconds load time. That means which will make your website faster than 98% of all other blogs. SeoRocket score is 100 % of 💯% to mobile friendly usiblity test. This is responsive I think this is a best choice to your blog. So dont waste your time. Hurry Download now. Link bellow here 👇. To help you work with we've written a very detailed and clear guide. But if you have any questions, please feel free to inquire about our comment system, please feel free to reply to your inquiry.